Beautiful. I'd love to visit. A crowded square today. 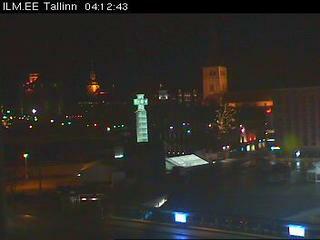 Tallinn does look like a nice city. Hi 38656 ..... have a wonderful time. Tallin looks a beautiful place. Mira Bilis.... I checked your link, there are 5 cams here. Hi Dona. It looks beautiful tonight. Hi Dona. I'd love to visit. It looks lovely to me, night or day. This was pretty at Christmas.